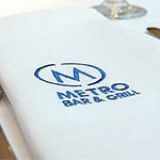 Do you work at Metro Bar and Grill? Must be accompanied at all times by an adult and only in the restaurant area. 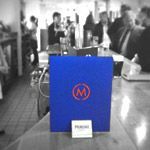 What did you think of Metro Bar and Grill? The Metro Burger is the don! 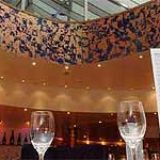 A beautiful modern restaurant that fits perfectly into the city centre. A fine selection of foods at reasonable prices coupled with friendly service mean good times may be ahead for this restaurant. 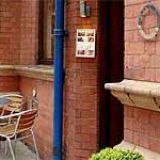 This restaurant is situated in the heart of Birmingham city centre on Cornwall street and it’s easy to find as it’s just off the Great Charles Street Queensway and not far away from some of the main parts of the city centre. It’s an ideal stop-off point during a day of shopping or sightseeing. The interior is fairly modern, and the chairs to the dining tables are very comfortable. It’s as modern inside as it looks outside with lovely paintings up on the wall and good lighting so you don’t end up eating in the dark which can sometimes be the case at some restaurants. There's not much of a buzz to Metro Bar even when it's busy. It’s almost as if it is too stylish and modern. Maybe it’s just certain times of the day it’s like that, and with a large crowd it may be perfect, but a great vibe isn’t guaranteed. And the crowd is as non-specific as its atmosphere. Anybody and everybody rocks up to this place for a meal. There's plenty to choose from the selection of starters and mains and desserts. A good starter is the soup. It isn't too filling and it's a nice way to warm-up your taste-buds as it isn’t too thick. You could be fooled into thinking the Metro Bar is just a grill restaurant but it isn't. Yeah you can get a fantastic burger or some lamb shank or gammon but you can also find seafood such as oysters and crab. The steaks available look appetising and may well be worth a try if it’s as appetising as some of the other food. Other highlights include the haddock which is delightful as it's battered and comes with tartar sauce. It’s not too salty it’s just very tasty. The price of the haddock is £14 so it isn’t cheap and the main grills, such as a cheeseburger, are £11. The portions are big enough to prevent you from being too downhearted at the price though. There are dinner specials for £14 or £17 if you look closely at the menu. Online booking is available. There's a decent wine list ranging from chardonnay to grigio and none tip over the £15 mark. If you have the money to spend there is Bollinger available for around £100. Otherwise liquors such as Baileys and the usual lagers are available and are not too expensive. The lager is perfectly chilled and rather refreshing with a meal. There's one problem with this place and that is that it’s closed all day on a Sunday which is rather confusing. 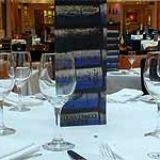 It’s a good place to stop-off during a shopping trip and would be ideal on a Sunday as the food offered up in The Metro Bar and Grill makes you glad you chose to dine there.